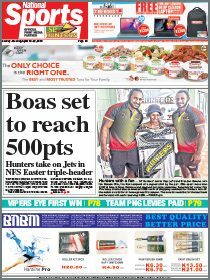 THE Snax Nines tournament, featuring some of the best rugby league teams from around the country, kicks off in Lae on Thursday. The three-day tournament will feature 20 teams — 10 from Morobe, three from Highlands, two from East New Britain, two from the National Capital District (NCD), and one each from Madang and East Sepik. Tournament director Stanley Tepend said he was expecting the event to be bigger and better than previous years. “Our aim for this tournament is to scout the best players for inclusion in the Lae Snax Tigers for next year’s Digicel Cup,” Tepend said. Tigers coach Tepend made special mention of the NCD teams, saying they were expected to feature prominently throughout the tournament. 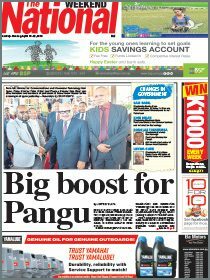 He said the NCD teams would arrive in Lae on Sunday. “We will only retain the players we pick during the tournament for our Digicel Cup preseason training,” he said. “The tournament will be at the Lae Rugby League Ground. “There will be four pools consisting five teams each. Tepend said he had invited teams from the New Guinea Islands and Highlands to give them the opportunity to push for selection. He said team registration was K1000. Tepend said the tournament winners would pocket K10,000 and runners-up K6000. Sides that finish third and fourth take home K4000 and K2000 respectively.